GENEVA/GOMA, Democratic Republic of Congo—An Ebola outbreak in eastern Democratic Republic of Congo is likely spread over tens of kilometres and poses a high regional risk given its proximity to borders, a World Health Organization (WHO) official said on Thursday. 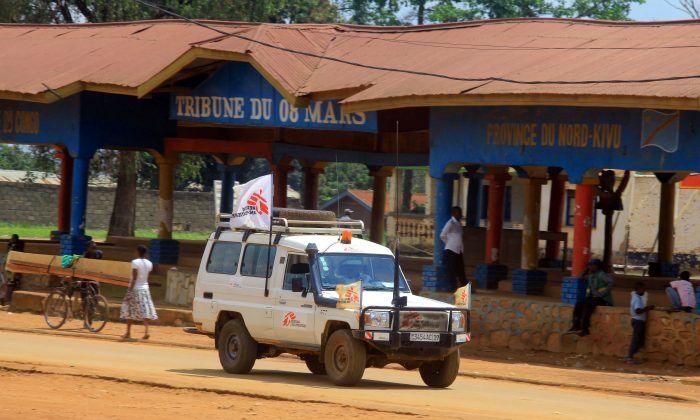 Four people have tested positive for Ebola in and around Mangina, a town of about 60,000 people in North Kivu province, 100 km (62 miles) from the Ugandan border, the health ministry said. Another 20 people died from unidentified haemorrhagic fevers in the area, mostly in the second half of July. Just last week, a previous outbreak on the other side of the Central African country was declared over after killing 33 people. Ebola is believed to be transported long distances by bats and can find its way into bush meat sold at local markets and eaten. Once present in humans, it causes haemorrhagic fever, vomiting and diarrhoea and is spread through direct contact with body fluids. Over 11,300 people died of an epidemic in West Africa from 2013 to 2016. 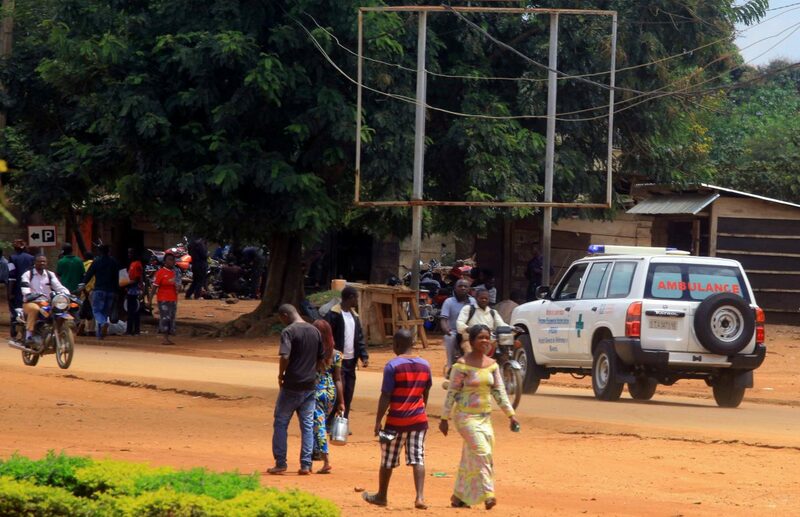 This is the vast, forested central African country’s 10th outbreak since 1976, when the virus was discovered near Congo’s Ebola river in the north. That is more than twice as many epidemics as any other country. The kind of Ebola in the latest outbreak has been confirmed as the Zaire strain that the Merck vaccine protects against, Congo’s health ministry said late on Thursday. This should allow health officials to again use what has become the greatest weapon against Ebola epidemics to date. The hospital where she works has already seen three people die recently of haemorrhagic fever. The hospital was awaiting help from the Red Cross to bury the bodies properly, she said. “Ebola is highly infectious so we have put in place measures,” Uganda’s Junior Health Minister Sarah Achieng Opendi told Reuters. 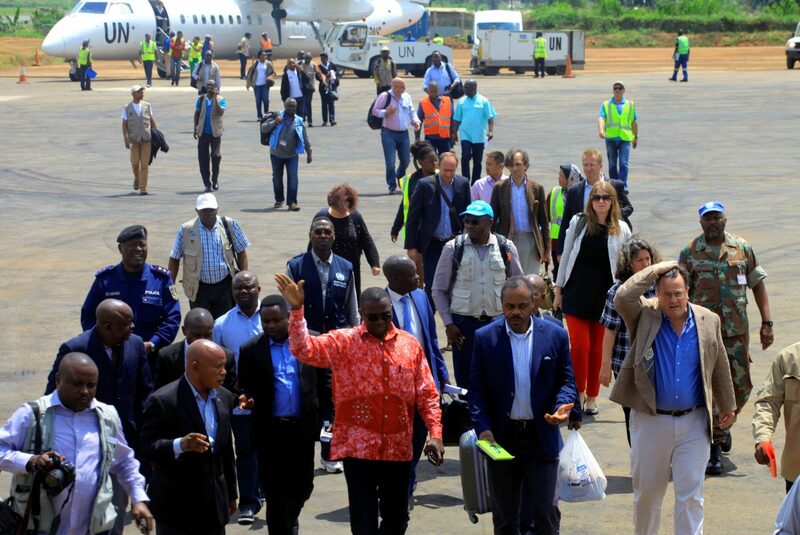 An international delegation including officials from the United Nations, the World Bank and the WHO is in Beni, 30 km from Mangina.